Hello everyone, we are here to give you quick updates about the compatibility of YouNetCo Products on phpFox 4.7.1. As you may know, the phpFox 4.7.1 was just officially released a few days ago. We have been checking the compatibility of our products since then. The result is good so far. All of our products which are working well on phpFox 4.7.0 are also compatible with version 4.7.1. No products need to be updated since our compatibility checking on phpFox 4.7.0. 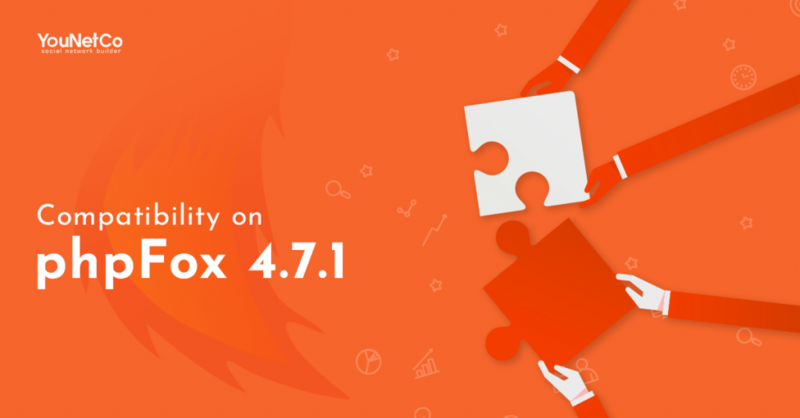 So, let upgrade your phpFox site and enjoy the new version 4.7.1 now! Have any questions? Please feel free to submit tickets in Client Area or contact us here. Hope you have a wonderful December and don’t forget to upgrade YouNetCo products on your phpFox 4.7.1 site now to enjoy the best experiences!